Designed using unique dual latex coating technology, the Portwest Thermal Dual Latex Acrylic Gloves AP01 offer superior grip and exceptional protection against liquids and water penetration. 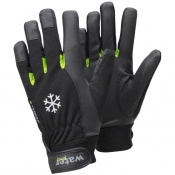 Furthermore they have been ergonomically designed to ensure comfort, while their warm brushed acrylic thermal liner protects the hands in cold conditions. 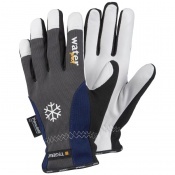 The Portwest Thermal Acrylic Gloves AP01 are ideal for use in cold, wet conditions because of their fully waterproof double layer coat. 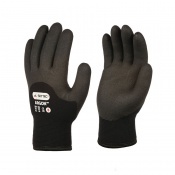 They offer excellent warmth while protecting hands against mechanical hazards, ensuring hands are kept safe, warm, dry and protected. 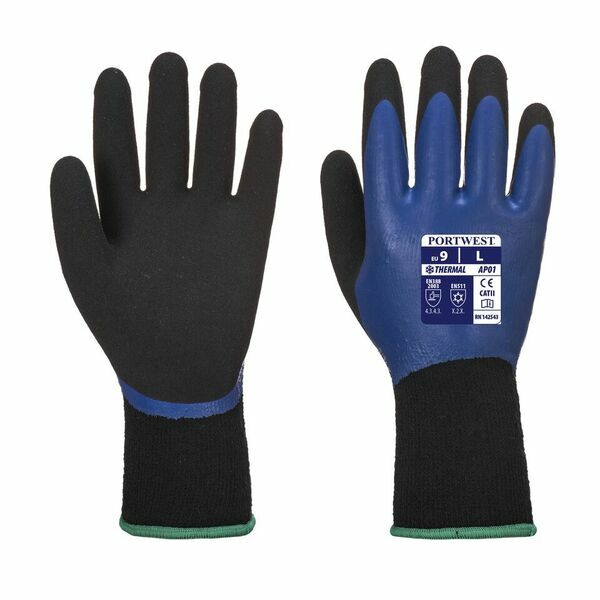 The Portwest Latex Thermal Gloves are available in five sizes that should be suitable for most users. To find your perfect pair, please measure the circumference and length of your palm and match the results to the table below. My colleagues and I work in a wholesale plant nursery, this means we're in contact with water no matter what the weather, we need waterproof gloves that keep our hands warm, or at least not so cold we can't use our fingers properly, that are tough against metal fittings as we connect and disconnect our watering lances, and can grip slippy hoses, or pots of plants. These gloves do all of these things well and are the first gloves any of us have found to do so. I have disconnected irrigation pipes and had water pouring over my hands and not a drop has got through. I have low blood pressure and feel the cold easily, my fingers still hurt with the cold sometimes, but I can still use them. My hands also sweat, and I have taken to wearing thin nitrile gloves underneath in order to prevent the warm lining getting wet (others have not had this problem), you can turn the gloves inside out to dry, but it's very awkward. Also, they're not so good for dexterity - I have to remove them to weed - but this is nit picking. In fact these gloves have been so successful that our General Manager has decided to keep them in as regular equipment for staff.